Harvard professor Marc Hauser found guilty of eight counts of scientific misconduct – can any of his findings be trusted? Professor Marc Hauser of Harvard University who’s research into evolutionary biology and cognitive neuroscience has influenced the likes of Richard Dawkins and Christofer Hitchens has been found out. Hauser was found guilty of eight counts of scientific misconduct last year and this year after a year leave of absence, he was due to return to Harvard University, but he resigned. Clearly Hauser has been monkeying around. But more recent accusations have risen against him. These accusations are part on ongoing debate. What is clear is that the claims made by this man are in serious question, as is much evolutionary science in general. The problem is that this case is not the only time where scientific conlusions have been shown to be fake. Piltdown man was a fraud and Nebraska man was a misake, not to mention the Neanderthal Man. And now we have one of the worlds leading evolutionary scientists proved to be a faker. What is clear is that the scientific conclusions which have been presented and taught by Marc Hauser should be seen as unreliable dodgy claptrap. 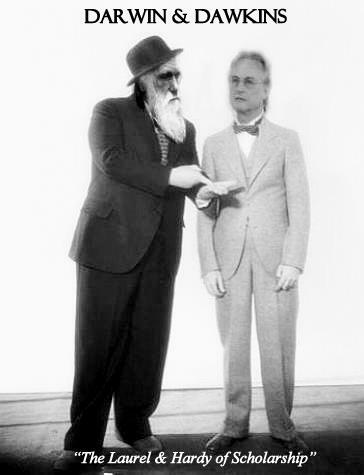 Many scientists will no doubt argue their way out of this problem as the likes of Richard Dawkins has concerning the Piltdown man, Nebraska man and the Neanderthal Man, but they cannot ignore the fact that the theory of evolution has a problem, that problem being the fact that it has many problems. No rock layers that have been found contain transitional forms within them. There is simply no evidence beyond highly speculative claims that are based upon evidences for the theory of evolution. It is a fallacy and a fraud that will one day be seen for what it is. The theory of evolution is a pseudo-science which is based upon the ideas made up by a theologian who was not a trained scientist to begin with. Why then should a world science be based upon a theory made up by a theologian? The problem I find with science is that it is a self-governing enterprise, which is something that I find suspect and in reality I would like to know why a theory which logically connects to the big bang, which cannot explain where matter came from should be taught in our schools to our children laid out as fact? I don’t believe that evolution is a fact, it is more a re-invention of a 19th century myth which makes a lot of money and at the same time fulfills the scripture, “the time will come when men will not put up with sound doctrine. Instead, to suit their own desires, they will gather around them a great number of teachers to say what their itching ears want to hear and will turn away their ears from the truth and will turn aside to myths” 2 Timothy 4: 3-4. This entry was posted on December 18, 2011, 12:21 AM and is filed under England issues, Science and evolution. You can follow any responses to this entry through RSS 2.0. You can leave a response, or trackback from your own site. Neanderthal man is not a fraud. There are transitional forms. The evidence for evolution is abundant in genetics, archaeology, biogeography, medicine as well as having been observed in microbes and some types of lizards. Speciation has been confirmed in bird populations. Even biology as a concept would be a list of surprisingly similar facts if it were for the underpinning concept of evolution being the underlying constant. There is also no difference between ‘micro evolution’ and ‘macro evolution’. Micro evolution, which many creations have begun accepting to explain away the evidence, doesn’t have some sort of inherent boundary in it; there isn’t a “form” being kept that one cannot deviate too far from. Micro evolution inevitably leads to macro evolution, which is why real scientists don’t even use the prefixes. If you could give me a mechanism that might stop micro evolution becoming macro evolution I’d be excited to hear it. You say “Neanderthal man is not a fraud” I say, ‘prove it’. You say there is evidence for transitional forms, that may be depending on the context of what eveidence is. However, the actual evidence from fossils and bones is in serious question since the dating system of fossils is according to a system of interpretation of the facts and the genetical and biological facts, are also fine, but the interpretation of them is what is the problem. Such as the assumption that the similarities between the ape gene and the human gene suggests that humans share a common ancestor, no, that need not be the only conclusion, the facts could also point to a common designer. As for your claim that there is no difference between ‘Micro and macra’. Sorry, but that is a pathetic claim. One is a minor evolutionary change within a species, the other is a major change and makes one species evolve into another species over millions of years. Come one now! The issue is not with Micro, but with Macro, which makes the debate focus upon geological issues and not biological ones. In other words, before the system of evolution can work, they have to prove the earth is billions of years old, which is not an issue of biology, but geology. That is where the debate really is and that is where it will stay until evolutionary scientists stop playing games with the facts and interpreting the age of the earth and rocks according to their system of thought. My answer is, the dating system, geology is the issue. Charles Lyells Principles of Geology is the issue, not biology. Well, if you think Neanderthal man (Homo neanderthalis – for future reference) as well as Ardipithecus ramidus and Australopithecus africanus and Australopithecus afarensis and Homo Habilis and Homo ergaster and Homo Heidlebergensis are all hoaxes I imagine no level of evidence will change your mind. The same can be said for transitional forms (which is why I named all that I could from memory). But “I cannot be convinced” is not the same as “I am rational”. As for the difference between micro- and macro-evolution, tell me what you expect when over many generation of cumulative micro-evolution. Because if “macro-evolution” is not your answer you’re making the assumption (even if you can’t see it) that there is some hard-and-fast genetic definition to a species with a mechanism that prohibits micro-evolution past a certain point. And that latter assumption also assumes that even as micro-evolution takes place the genomes retains what the “form” (in the Platonic realism sense) of that species should be. If you accept micro-evolution, but in the face of the scientific community you reject “macro-evolution” you have to substantiate the three assumptions I just gave you. Otherwise you are asserting your claim without evidence (indeed, I’m not sure what the evidence of creationism–Intelligent Design is). (It would then be the burden on ID proponents to give logically sound arguments to explain the fossil record, the apparent progression of species and the phylogenetic tree. Although I accept this may be beyond you in particular as you are not necessarily a scientist yourself). There is evidence to suggest that when some of these finds have been examined, they have been found to contain nuts & bolts, plaster etc. The scientists take certain remains which have been found in one place, another found 50 feet or so further, they assume or claim they belong to each other and thus, assemble them together. However, we know that a large amount of animals and creatures from the past are now extinct. There is nothing in any of this evidence to keep a person so single-minded in his or her interpretation of the facts to claim that the facts themselves are actual evidence of transformation. Nothing. On the contrary, they can suggest a common designer and they can suggest extinct creatures. But if a person buys into the system of evolutionary thought, then that is what you will see. Same as if a person embraces creation then the person will see creation from the facts. It depends upon how you interpret the facts, of which the evience swings both ways. The problem so often is, that only one side is presented. Thus, since we know that many creatures of the ancient world are now extinct, I see nothing in the evidence to convince me of macroevevolution.